Running any kind of Small Business involves many tasks. Automating some tasks using Software systems can help the small business owner to focus on his core business. For example, timesheet software can help to study and improve the performance of the Employees and Projects without requiring the Business Owner to spend his own time much. And, a lot of free open source tools are available to help the Small Businesses. But setting up them and customizing them to their own needs will require some experience in handling them. 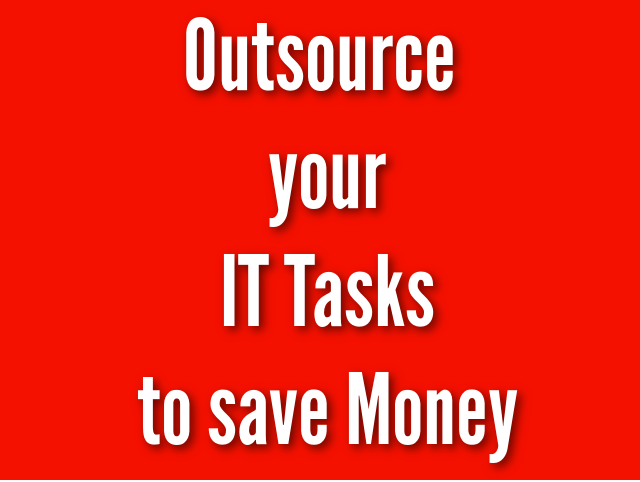 So, it is better to outsource that kind of tasks to save time. It may be difficult to outsource all the tasks across countries, but you can easily outsource the IT related tasks to other Countries. I am having around 20 years of experience in IT Industry. So, if you are interested to outsource any of your IT tasks like Web development and Software Testing, you can contact me (rajamanickam.a@gmail.com) and you can check my LinkedIn profile here. Past few years, I was engaged with my own projects like, timesheet, Quotes Site, Apps, YouTube Channel, News Site, and Books. Now I have decided to spend few Hours per Day for doing Client projects also. Many years back I was doing Software Development Projects through Freelance websites. I stopped using them to avoid unnecessary fees and complexities introduced by them. So, Now I will be working for the clients who are willing to pay directly to me through paypal instead of using any freelance sites. I plan to charge $12 USD per hour. You can read below some feedback comments from the Clients for the Projects I worked many years back through Freelancing website. And,find below the Linkedin Recommendation from one of my direct Clients. Let me know if you have any questions. I prefer to work on PHP/MySQL and Software Testing Tasks though I can work on various IT tasks including SEO and SEM. Especially, I can work on complex projects as I explained here. Apart from helping Small Businesses in IT Tasks, I can guide anyone to start any profitable small scale online business as I had explored a lot of things in the past 20 years.